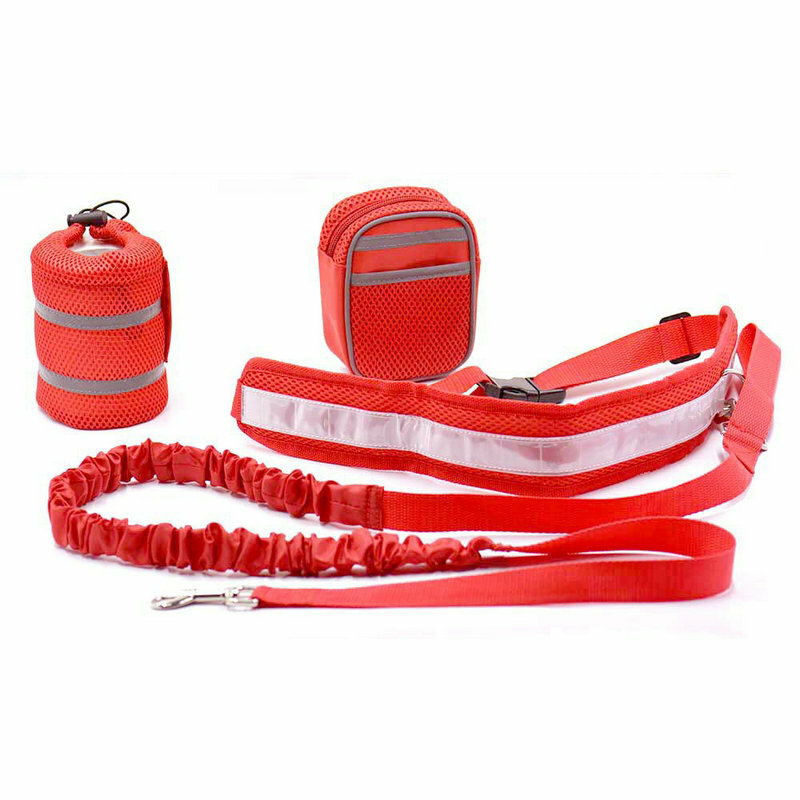 Hands Free Dog Leash Set: Equipped with a reflective waist belt, a retractable dog leash and a bottle bag and a small waist bag for keys and stuff. Enjoy your out and about with your puppy with both your hands free! Adjust the waistband to your waist, attach the retractable dog leash to your dog's collar and off you go; or use the easy-grip neoprene handle. Safe Relflective Lighting: If you like jogging with your puppy in the dark, this leash is for you. The reflective stripe of the running dog harness will make you visible to drivers, ensuring your safety. 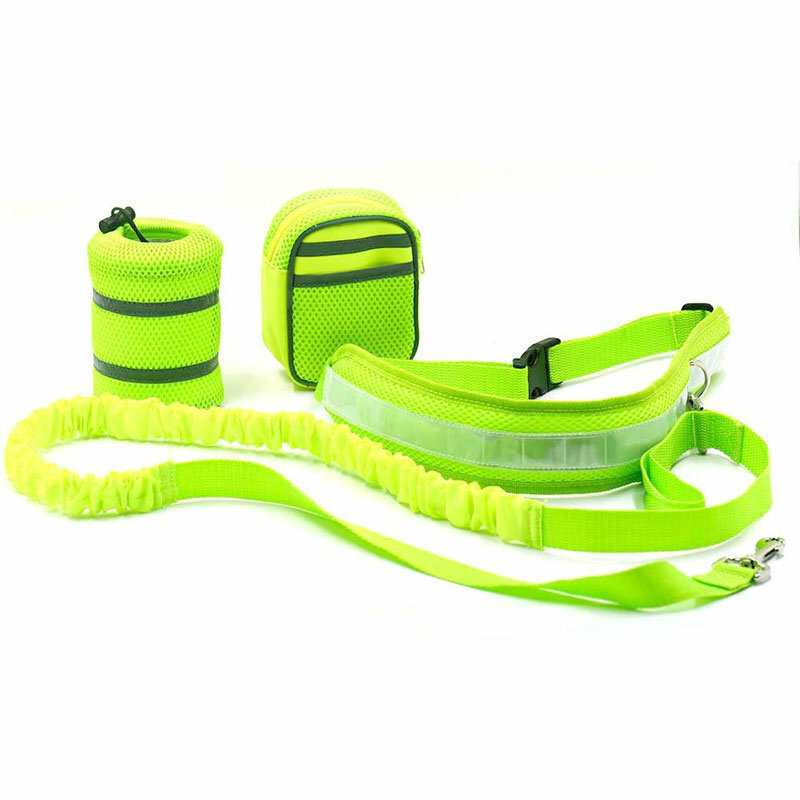 The luminous material and reflective stitching make it the ultimate reflective waist leash! Equipped with Water & Bag Pouches: Leash comes with a practical zippered bag holder attached to the waistband, which will host your phone, keys, wallet or small dog toys, poop bags and treats. Plus, it features a handy bottle pouch to keep you refreshed during your activities. Comfortable: This bungee dog leash features a waistband extendable to 48", for most comfortable fit around the waist of adults of kids. The Shock-Absorbing design makes it your best choice in flexible dog leashes, especially efficient in sudden pulls and tugs. It is ideal for dogs of all breeds, the top large/small dog. 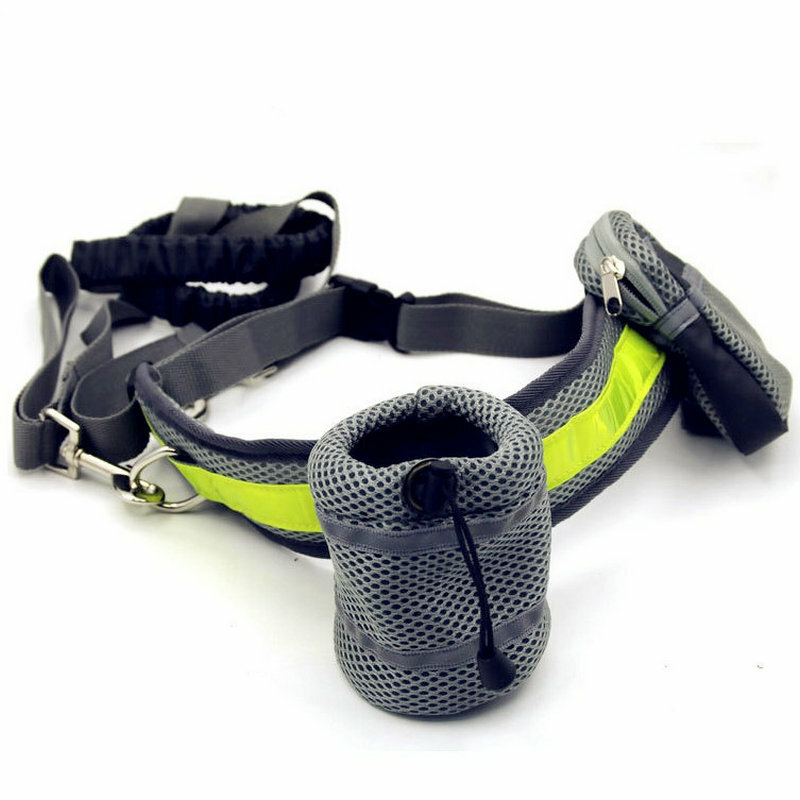 Great Gift Ideas: Compact, lightweight and modern, this reflective dog bungee leash makes the best gift for a loved dog owner. Offer it as Valentine's gift to your sweetheart, a birthday gift to mom or dad or a Christmas gift to a good friend and put a wide smile on their face! Show off your great taste with the best hands-free leash!